2016 Brings ... Some Plans! The new calendars have been unwrapped or downloaded and it is a great time to think forward about the coming year. Our focus this month is PLANNING AHEAD! For families formed through foster care, adoption or kinship care connections, looking forward may be particularly challenging, as some children and youth in our care may be unsure of what lies ahead. And for many children and youth with special needs, executive functions such as initiation, organization, communication skills and self-monitoring may be underdeveloped, making long range planning and follow-through on those plans really hard! 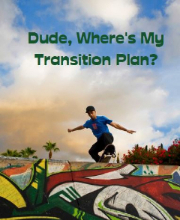 To kick the year into "planning mode", we invite youth and parents/caregivers to join us Thursday, January 14 for the Dude, Where's My Transition Plan? evening workshop. Participants receive a youth-friendly workbook during this free session. Our activtities to get you thinking about transitions through middle and high school and on to work, employment and independent living. Learn more HERE! Counselors, social workers, educators, other professionals and parents/caregovers are invited to a morning workshop with professional coach, author and foster care alum, Shenandoah Chefalo. Learn more and register for the April 1 event HERE. CEUs available! Youth and youth adults and their parents and caregivers get Stronger Together at our peer support groups, offered two Tuesday evenings a month. Any youth or young adult, age 14-22, who has lived experience with mental health, special education, social services or other systems is welcome. Mr. Vick facilitates the group and he ALWAYS has some wisdom to share! The concurrent parent and caregiver group tackles many parenting issues with the help of our fabulous facilitators Dr. Dogra and Dr. Tandon. Groups are free and we serve a light dinner ! 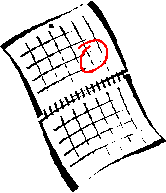 The next meeting is, January 19 in Fairfax. Learn more HERE and let us know if you want to become "Stronger Together"! Q: I heard about a new federal law called ESSA and was told it will benefit foster children. What it's all about? A: In December 2015, the Every Student Succeeds Act (ESSA) was signed into law. It is the latest version of the Elementary and Secondary Education Act (which includes Title 1). A great summary and analysis of the law's impact on students with disabilities has been preparared by The Advocacy Institute and The Center for Law and Education. A summary of these provisions is available from FosterClub. A more detailed ESSA Q & A regarding foster youth is available from the Legal Center for Foster Care and Education. Together with the educational stability requirements of the Fostering Connections Act, these new requirements of ESSA hold promise for increasing opportunities for educational success! Plan to attend a training or event - check out these great offerings from FFF and our friends & partners! January 13 - Transition 101: Agency Linkages, hosted by Alexandria City Schools Family Resource Center, Alexandria. January 21 - Making Special Education work for Foster, Adoptive and Kinship Families, Warrenton. January 26- Webinar on supported education for young adults with serious mental health conditions. Hosted by the Transitions RTC. January 28 and March 4 - next dates for Super Sibs Club , hosted by Arlington Schools Parent Resource Center. January 28 - Promoting Independence in Activities of Daily Living for children with autism spectrum disorder, hosted by Loudoun County Schools Parent Resource Center, Ashburn. February 2 and March 8 - Northern Regional Youth Network Meetings for foster youth and young adults, hosted by Project LIFE, Alexandria. April 1 - Helping without Harming: Trauma-Informed Approaches for Coaching Children and Families, professional workshop at FFF, Fairfax. April 2 - Save the date for Spring Forward Adoptive, Foster and Kinship Family Fun Fair, Vienna. April 9 - Annual Special Education Conference, Fairfax County Public Schools, Alexandria. May 7 - Beyond Consequences LIVE with Heather Forbes, Burke. Mark your new calendars for Saturday, April 2 for our annual Spring Forward family fun fair at Providence Community Center, near the Vienna metro. Keynote foster care "survivor" Ms. Shenandoah Chefalo will share her story and her insights into survival and solutions. Registration opens later this month!. We look forward to connecting, supporting, learning and growing together with families and professionals in 2016. One great way to connect is through our Facebook page. Already this year we have posted information on mental health apps, preventing homelessness among foster youth, adoption credits, assistive technology, adoption-themed movies and a host of meetings and events in the area. LIKE us and don't miss a thing!